Microsoft's Build 2014 conference was packed with treats and among all the other goodies came confirmation that the next version of Kinect for PC is very close indeed. 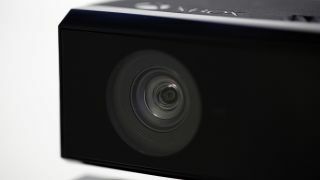 Kinect v2 for Windows will arrive with a 1080p sensor, improved gesture recognition and skeletal tracking, and Microsoft has confirmed that the new sensor and SDK will arrive "this summer" for the northern hemisphere. But the best news is that developers will be able to self-publish to the Windows Store for the first time. This means we can expect to see more Kinect apps on Windows than ever, especially considering how many more possibilities the new sensor affords. Cortana is also breaking out of the Xbox. Read our Windows Phone 8.1 hands on review.